The atmosphere is surreal, suspended. 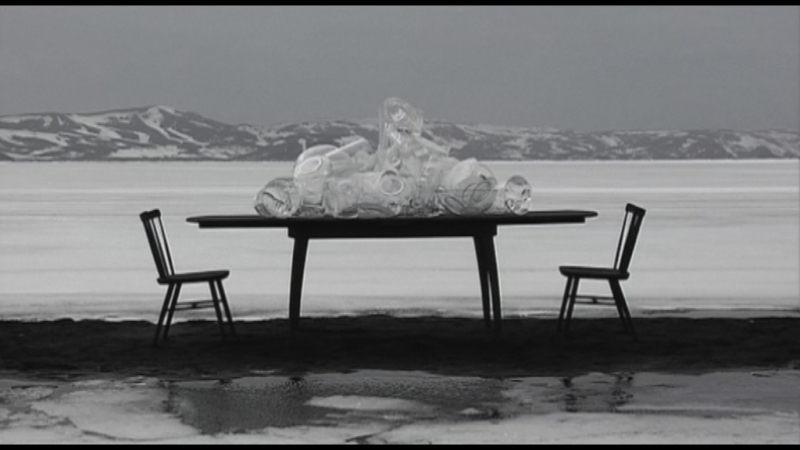 A table with dishes and glass household items piled on it is seen sitting in an arctic landscape. A stream flows placidly nearby, through the polar ice. In the distance, majestic snow- capped mountains. 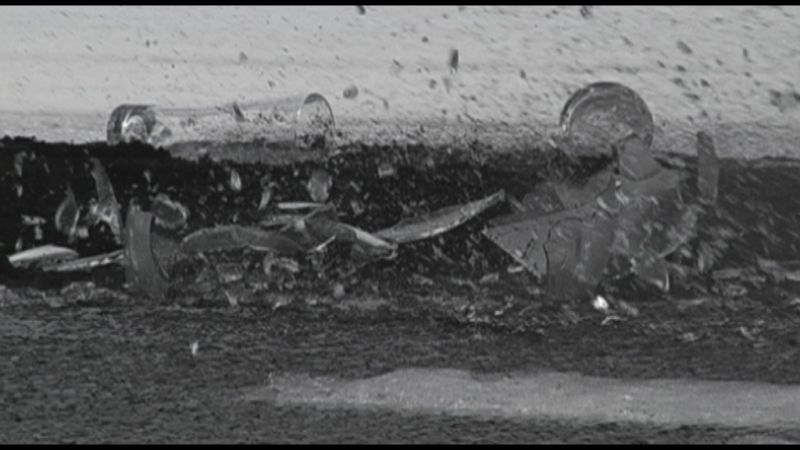 Suddenly gunshots are heard, coming from unknown points off frame, which repeatedly strike the objects on the table, resulting in a hail of broken glass that blankets the volcanic terrain with fragments and shards. 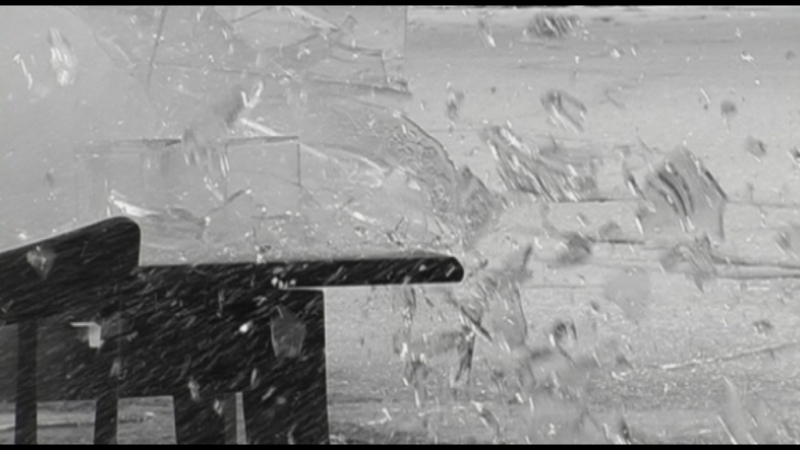 Each time an object is hit glass flies and a thin cloud of pulverized glass rises up and is blown in every direction by gusts of wind. The most turbulent phases are preceded or followed by the words of a man and a woman who attempt in vain to engage in reasonable and exhaustive conversation, and are interrupted by sinister creaking noises in the background. 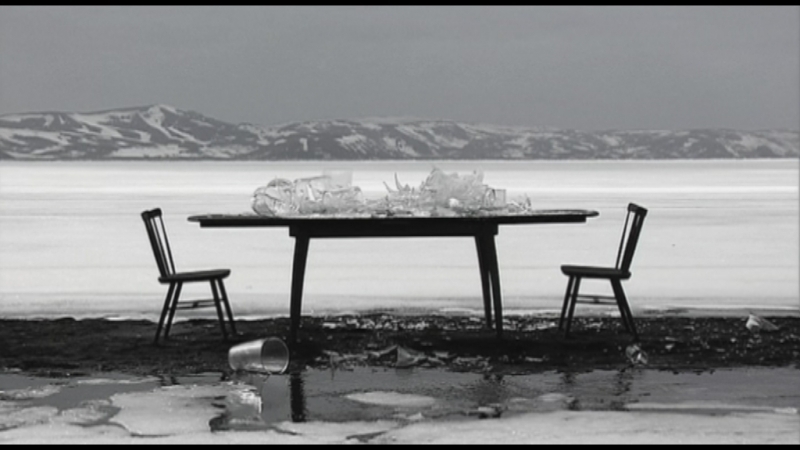 The gunshots wind up reducing the table, even the chairs around the table, to splinters – a metaphor of the young couple’s impossible dialogue and insurmountable incomprehension. 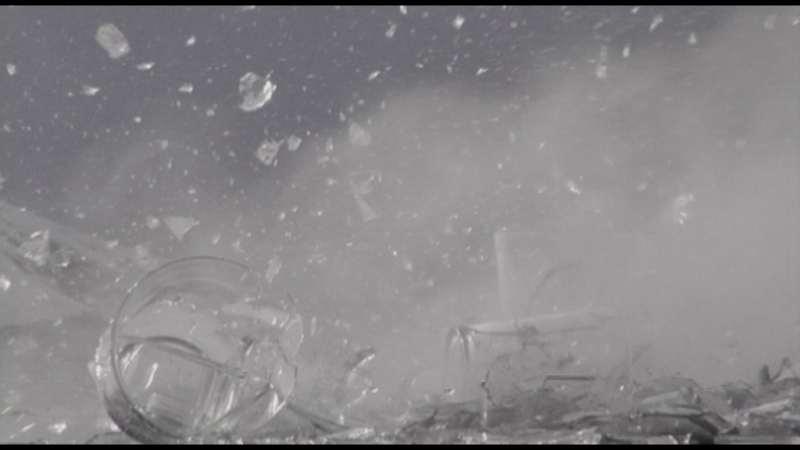 Theorem of Incompleteness, Masbedo’s first video from the Icelandic period (2008), recounts the strained relationship between man and woman – a central theme in the two artists’ poetics – through the destruction of fragile crystal and glass objects which metaphorically symbolize the dissolution of the sacredness and the intimacy of the couple. Exploring the limits and possibilities of the human condition, the video shows how powerful desire – i.e., contemporary longing-neurosis, the single driving force behind all Western capitalist societies – can be when it comes to withering our sense of existence. 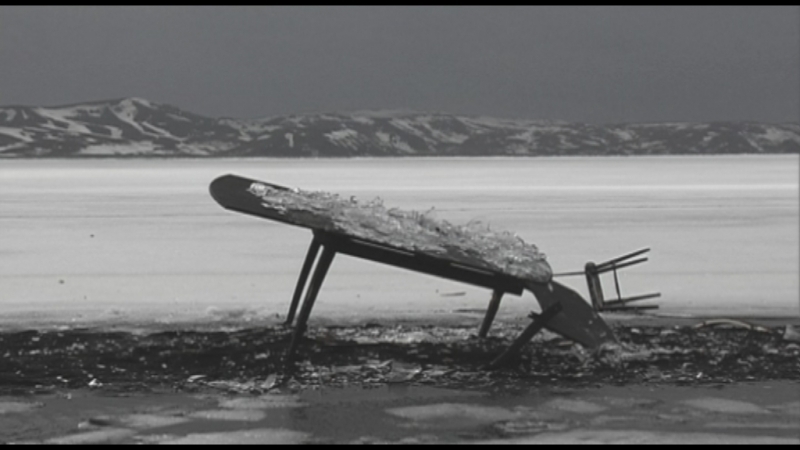 The idea of setting the video in Iceland, an island in the extreme northwest of Europe, flaunts two concepts that are omnipresent in the works of Masbedo: beauty, which surges from the sense of extraneousness and mystery; and the sense of solitude that stems from beauty. This land – in geological terms, a block of lava covered with glaciers – is a creation wrought from the clash between the North American and Eurasian tectonic plates, situated on a mid-ocean ridge and crossed by a fault line that is constantly growing wider (to the tune of three centimeters annually). This indeed turns out to be the ideal setting for the Milanese duo’s mental and existentialist explorations. 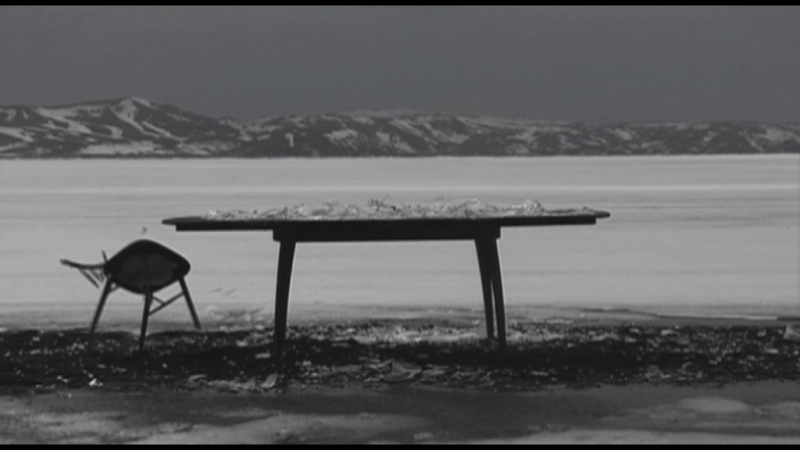 The choice of location is by no means happenstance, but dictated by a marked interest that has pushed Masbedo to metaphorically develop a sort of parallel between the territorial tectonic conformation and the collapse of the Icelandic utopia, when the island, as the old continent’s epicenter of economic crisis in the Western world, bore the brunt of U.S. banks catastrophe in 2008. Reflection on upheaval in Western society is for Masbedo a pretext for opening up the discussion and underscoring aspects peculiar to the Icelandic way of life, from their sense of patriotic belonging to their pantheistic approach to the spiritual dimension, to the customs of a people which – albeit small in number – can claim a history and traditions that date back well over a thousand years. 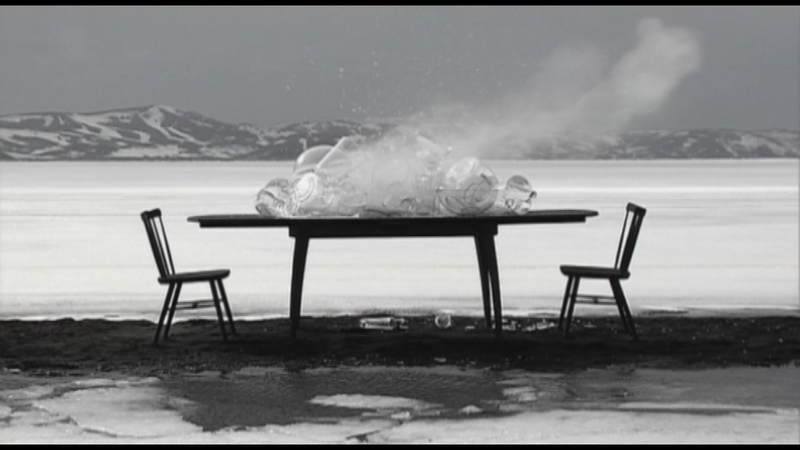 Lastly, this video also represents a stylistic turning point for Masbedo, which partially suspended the neo-Baroque component once the Icelandic experience had gotten under way, in favor of a more sober and depurated approach, brought about through a new chromatic treatment mainly based on pale black-and-white monochromy.